Ultimate Shoulder Shocker - A Guide For Teenagers To Build Huge Shoulders! To build huge shoulders, you need a solid training routine to maximize their development; you can't just presses for hours on end. 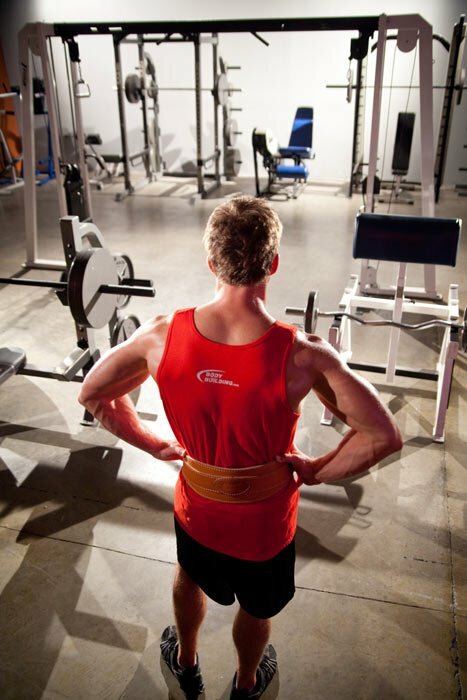 Here's a great guide for teens with workouts and explanations to build huge shoulders! Learn more. The shoulders are some of the hardest muscles to build naturally. Be sure to warm yourself up. A shoulder injury can linger a long time. "Dude, your shoulders are too big ..." Hmmmm, doesn't sound too familiar now does it? The deltoids are a muscle group that people, teens especially, rarely have too much of. Whether you want to compete on stage or you just want to look like a hard-nut in that white shirt you have - that's too small - then thick, round deltoids are a must. However, big shoulders can be difficult to achieve for someone who trains naturally. Achieve For Someone Who Trains Naturally. I myself don't have the most amazing delts in the world. This is largely due to the half-@ssed manner in which I trained them when I first got into lifting. It's also partially down to genetics. That being said, they are much fuller and thicker than they used to be. I was amazed by how quickly they improved in the space of 3 months. This amazing development just happened to begin when I first implemented a new training routine that I designed ... Coincidence? I don't think so! When I first started training, I would just perform a series of shoulder exercises that I knew. The first one would be machine shoulder press, followed by dumbbell shoulder press, then maybe some front raises and some close-grip upright rows (I thought these worked my delts). [ Click here to learn more. ] How To Build King-Sized Boulder Shoulders! Many trainers possess weak points such as underdeveloped posterior delts, lack of separation among all three heads, etc ... Do not fear; this article will provide you with the know-how to build some great boulder shoulders! The deltoids are divided into three portions. The anterior deltoid inserts at the lateral third of the clavicle, the middle deltoid at the acromion process, and the posterior deltoid at the spine of the scapula. All three portions of the deltoid muscle insert on the deltoid tuberosity of the humerus. Because the different portions of the deltoids insert at different places, they have different functions. The anterior deltoid flexes and medially rotates the arm, the middle deltoid abductions the arm, and the posterior deltoid extends and rotate the arm backwards.1 Basically, this means that in order to fully develop the deltoids, you must perform a variety of different exercises, and hit the muscle from a range of different angles. But How Do I Work Them? Some people might say that you should only use dumbbells for raises, or only use barbells for presses. To be honest, if the word 'only' or 'always' or something similar is used, I think you should be cautious about that workout. I believe that in order to achieve maximum development of the deltoids, you should use a mix of compound and isolation exercises, utilizing both free-weights and machines/cables. Before I lay out the routine that 'saved' my shoulders, I'm going to explain a few points about performing the exercises. I am a firm believer that the amount of muscle fiber you can stimulate when lifting weights is, 9 times out of 10, largely connected with the range of motion used. 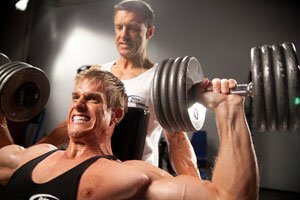 For example, when performing dumbbell shoulder presses, you should bring the dumbbells down until they gently tickle the top of your shoulder, and you should press them up until they lightly touch together at the top of the movement. Do not, however, lock out your elbows. Not only will this take the tension off of the muscle, but it is bad for your elbows. This routine involves an 'overall builder', and a movement for each portion of the deltoid. I have found that using these rep ranges have yielded the best gains for me. I would recommend warming up thoroughly before working shoulders. If you injure your shoulder when you're young, you're pretty much stuffed for the rest of your life. Some rotator cuff exercises might also be a good idea for a warm up too. At the least, you should stretch, and rotate your arms backward for a few minutes. I don't work traps on the same day as I work my delts. This is because I often feel many back exercises on my traps, and so I work them on back day. This is a matter of preference really, but I suggest you do the same. There are some shoulder exercises that you might feel on your traps, but if you are careful with your form, you can minimize this more than with back exercises. The volume on this routine is geared toward me personally, and you should adjust it for yourself. I only ever grow off of high volume, but you might not. It's all about experimenting and knowing your body. My advice would be to start at relatively low volume, and see how that is. If it doesn't work, you should add a set or two extra until you start making gains. As always your nutrition should be impeccable to put you in an optimal recovery state. Check Out Alex Curran's BodySpace Profile Here.